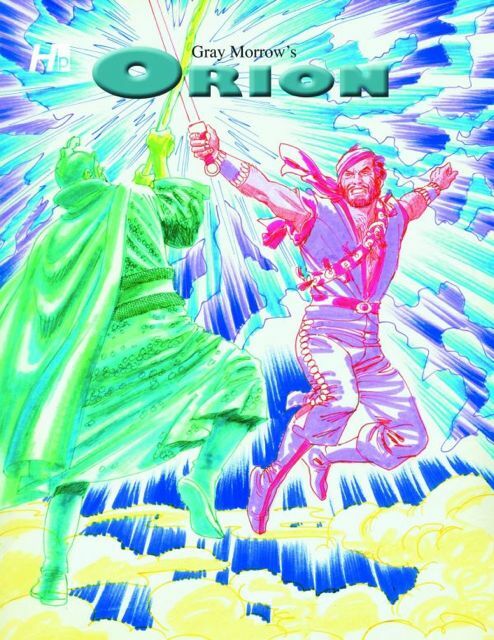 Hermes Press is reprinting the entirety of legendary artist Gray Morrow's Orion from the pages of Heavy Metal magazine. Orion is Morrow's sword and sorcery masterpiece about an Errol Flynn-like swashbuckling hero who battles evil on a strange and mystical world. Most of Orion will be shot directly from Morrow's original hand-colored artwork, and reproduced in full-color along with Morrow's Edge of Chaos series, originally published by Pacific Comics. Proceeds from Orion are going to Morrow's wife Pocho Morrow. Accompanying Orion will be a biographical essay by Irving as well as more samples of Morrow's inimitable artwork and storytelling.